The next best thing to watching the Song Contest in person is watching it with over 100 of your classmates and friends on a 20-foot screen. That is just what some alumni did at the 3rd Annual Song Contest Viewing Party at SALT in Our Kaka‘ako on the evening of March 18th. 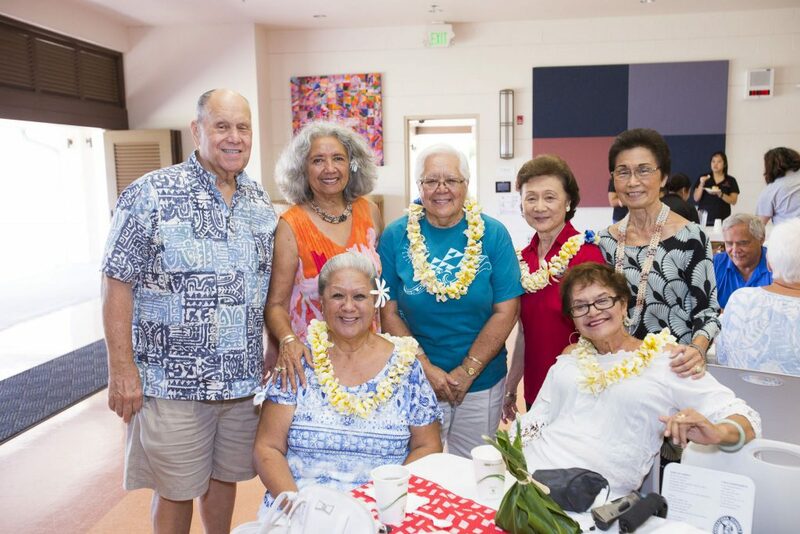 “The viewing party brought alumni together to reminisce and share in the experience known as Song Contest,” said Denise Ka‘a‘a KSK’84, alumni relations coordinator at the Pauahi Foundation. As part of the event, alumni enjoyed delicious mea ‘ai from Our Kaka‘ako lessees Hank’s Haute Dog and Highway Inn, as well as Kamehameha brownies and peach cobbler straight from Kapālama’s ‘Akahi dining hall. Attendees also got a sneak peek of SALT at Our Kaka‘ako. Developed by Kamehameha Schools, this 85,000 square-foot city block will be the epicenter for local culture, food, shopping and innovative events like the Song Contest Viewing Party. Co-emcees, Mele “Mento Mele” Apana KSK’93 and Monte McComber, II KSK’94, kept the audience entertained during the breaks in the broadcast with fun games and giveaways. They even held their own hō‘ike. “It was another great experience. 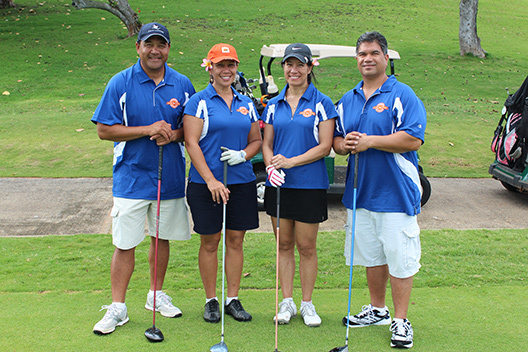 Getting to see alumni from other classes and spend time with them is maikaʻi loa,” said Monte.